KILLINGTON — Killington Mountain School cyclist Turner Ramsay took the line with her fellow Junior 15-16 women competitors as the returning champion, after her emotional win in the 2015 race. 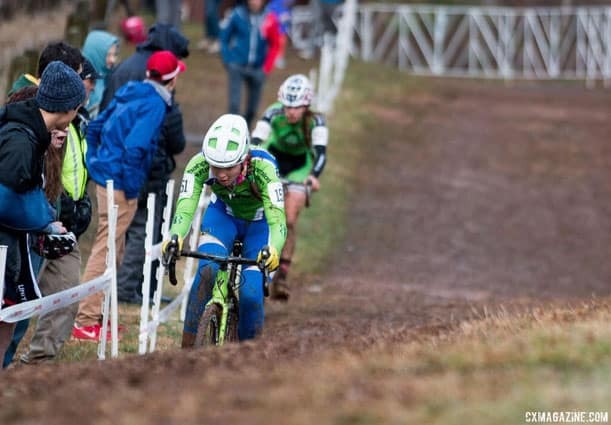 Rain had fallen overnight, and racers took to the slick and muddy course at the Biltmore Estate in Asheville, N.C., battling it out for the title. Ramsay’s stiffest competition was projected to be Katie Clouse — that prediction turned out to be accurate. The two traded the lead and attacked one another throughout the race, with racers repeatedly falling in the slick conditions. Clouse ultimately took the win, with Ramsay taking the second place spot in an outstanding and challenging morning of racing.